Iran's top leader Ayatollah Ali Hammei said that US President Donald Trump has embarrassed the prestige of the United States. In his words, Trump will be the biggest loser of the new US sanctions against Tehran. Ajatolo's hair did not worry too much about American prestige, the United States called the "great Satan." "This new American president has embarrassed the remains of American prestige and liberal democracy. The American hard power, that is their economic and military strength, is also declining," Hammei said in a speech in Tehran. He also condemned the reintroduction of sanctions against Iran, which will enter into force on Monday. "Tensions between the United States and Iran have lasted 40 years and the United States has taken us in different ways – military, economic and media wars," Hammei said. 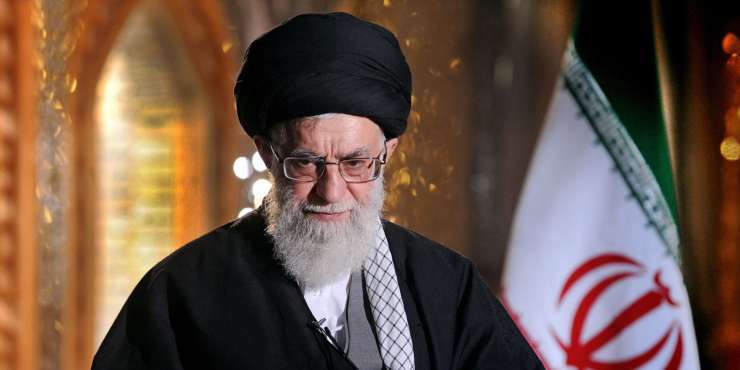 "But the fact is that the US has been defeated for the past 40 years, but the Islamic Republic has won," he added. On Monday, six months after the resignation of the international agreement whereby Iran restricted its nuclear program in exchange for the abolition of sanctions, the US will introduce even more stringent sanctions against Tehran. With them, Washington forbids all trade in Iranian oil, as well as international financial transactions with Iran.